Twitter for HR. Seems like something we should have already conquered, but the truth is, knowing exactly which 280 characters will attract the best talent to our organizations is a tall order. Today’s job seeker can afford to be highly selective. Those with exceptional skills are often looking for a new position while continuing in their current one. With risk low, job candidates can take the time to research any company they’re considering thoroughly – and yes, that includes following the Company on social media. More than70% of employers now use social media as a research resource to find out more information about job candidates, and at least 62% of millennials visit company social media sites to look for job openings. Twitter, in particular, can be useful when disseminating information and generating awareness about open positions. However, at the same time, it can also be challenging to use Twitter for HR the right way. The most straightforward way you can use Twitter for HR is to tweet job openings. Create a unique hashtag (e.g., #companyhiring), then make sure you include it with all job openings. Use relevant global hashtags that will draw in job seekers who aren’t already familiar with your company. Include #JobListing, #JobOpening or hashtags about your geographic area or industry. Hashtags about your jobs will help attract people who are using Twitter to look for open positions. #HireFriday is a popular Twitter feed that job seekers often follow. Tweet on Fridays with the hashtag #HireFriday to help your open positions get more exposure at the end of each week. To truly have a reputation as an employer of choice, always maintain your company’s voice and tone. Include Tweets that reflect the company’s vision, mission, and values. (In fact, those make great tweets all by themselves!) Make sure that your Twitter account helps to solidify your brand image–not detract from it. When in doubt, reflect on the company’s stated values. Actively avoid questionable activity on Twitter. Having a cautionary mindset means you should avoid engaging in anything political or religious (including following public figures, liking or retweeting polarizing posts, and posting anything controversial yourself). Keep Tweets strictly about your company to ensure you don’t alienate outstanding job candidates. With the proliferation of technology today, HR professionals have a bounty of resources at their fingertips that can help them recruit and reach the best candidates for open positions. One of them is Twitter. 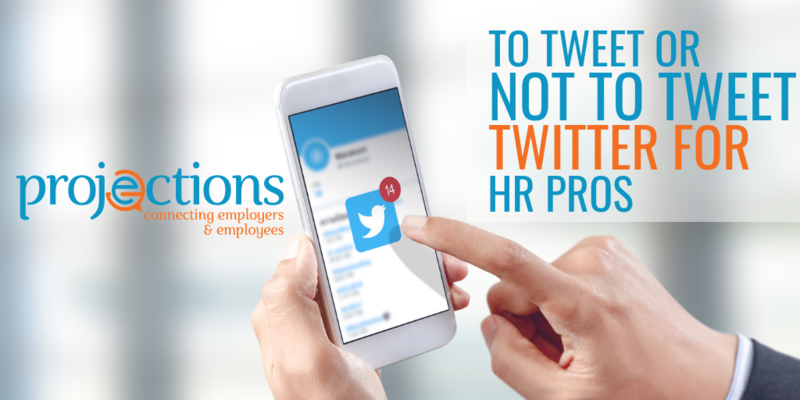 By understanding how to use the platform and what pitfalls you can avoid, you can ensure that using Twitter for HR will help you do your job more effectively and efficiently and that you reach just the right audience.